‘Twas night before Xmas, when all through the house not a creature was stirring, except for le fellrunner, busy gathering it’s vest and kit bag, ready for the next big race. And over the Winter break there were two or more such events. Gales nor sprouts could stop folk attending “The Coley Canter” held by Northhowram pumas on Saturday 29th. The course uses lots of trails and paths around the woods of Shelf and Norwood green. 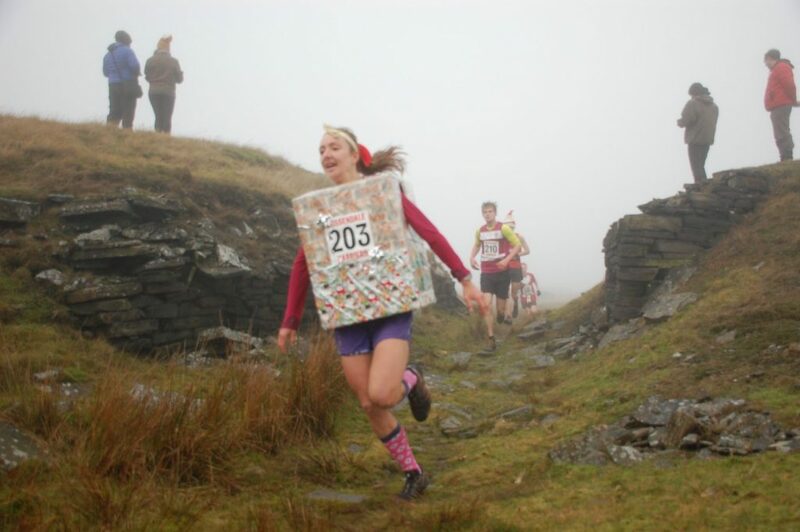 Calders Holly Page was forced to reveal herself after winning at the previous race (whinberry naze) dressed as a Christmas present. It was a grand day out for the Page family as brother Ben took the win, with Holly next home in 56 mins (1st lady and 2nd overall) and Mum Hilary taking the f55 title. See pix. Next home was Luke Meleschko in 11th with Tristan Sheard close behind in 12th and crowned v45 champ. 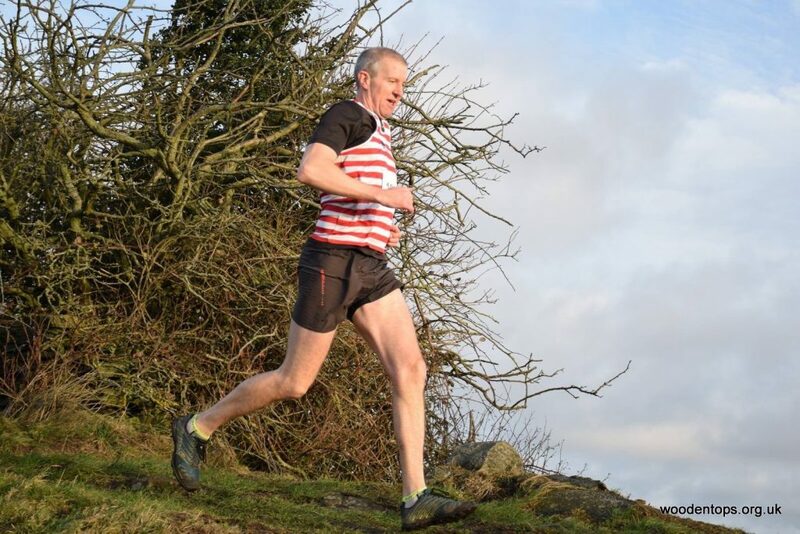 Jon Underwood sneaked into the top 20 with Anthony Costello 31st. 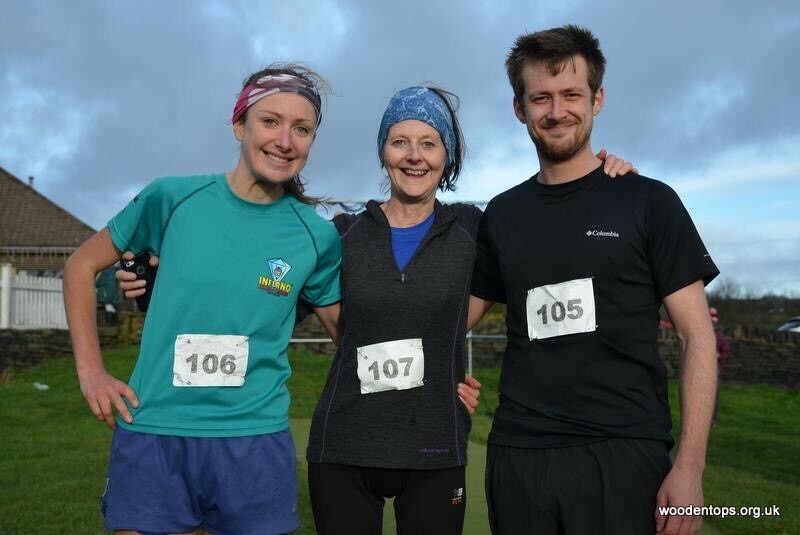 And at the Whinberry Naze race, 4 miles up and around Cowpe Lowe near Rawtenstall, held on Boxing Day, Holly did actually turn up suitably dressed, to give the competitors a festive treat as she overcame strong, air resistance, to take the win.